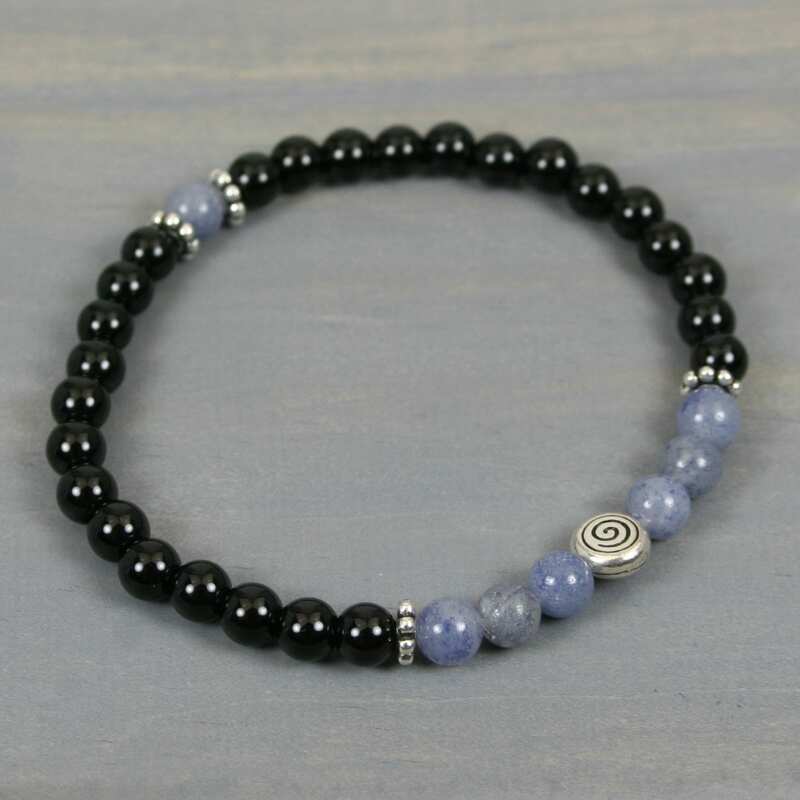 This bracelet is made from 6 mm round blue aventurine beads, 6 mm round black obsidian beads, antiqued silver plated beaded roundels, and an antiqued silver plated spiral focal bead. 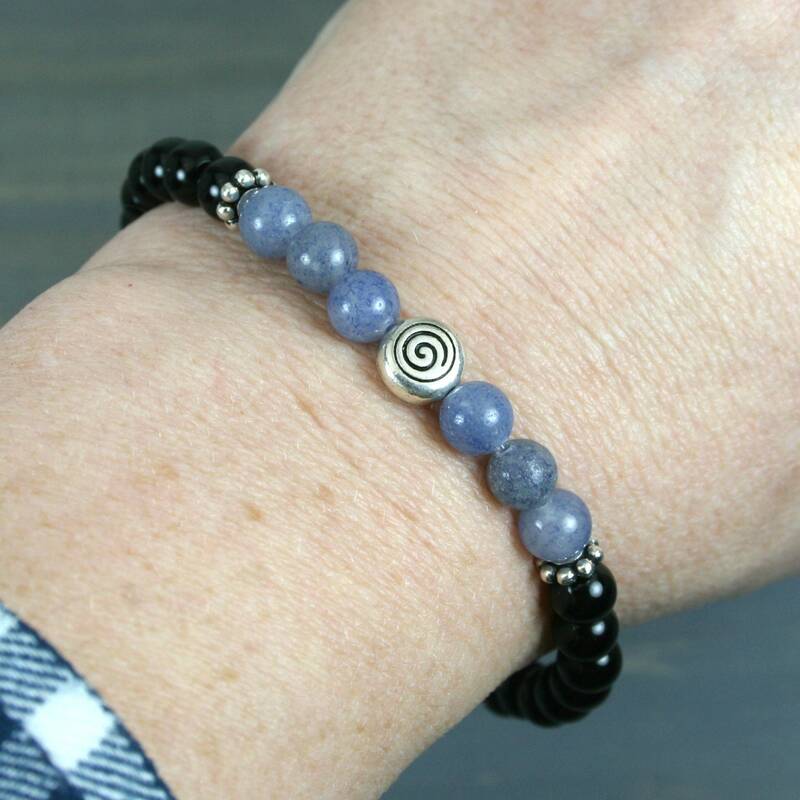 Blue aventurine beads are made from natural stone and therefore contain natural color variations from bead to bead, but they range from navy blue to a light country blue in hue. Aventurine also contains small inclusions of shiny fuchsite, a mica material, that gives the stone a glistening effect. 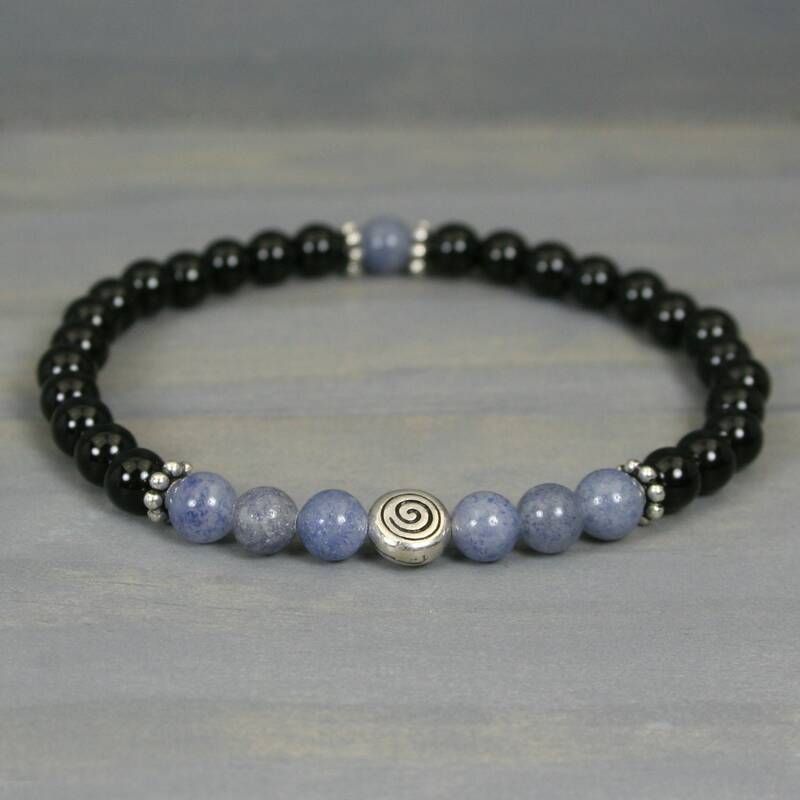 Blue aventurine is known for promoting awareness, empathy, and understanding. 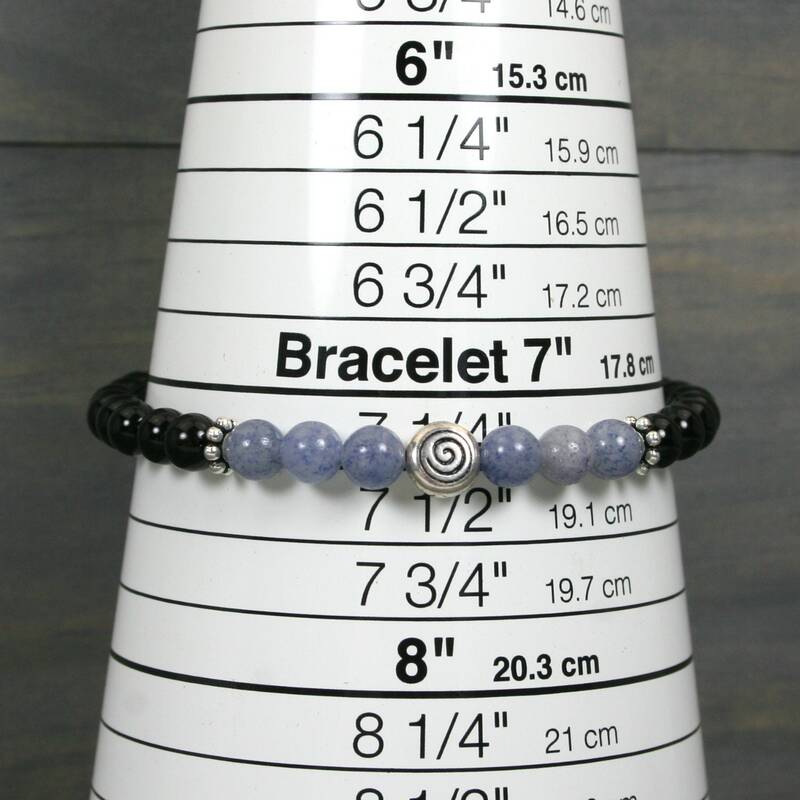 As shown, it is sized to an inner circumference measurement of about 7.25 inches where it touches the wrist (see image 4). 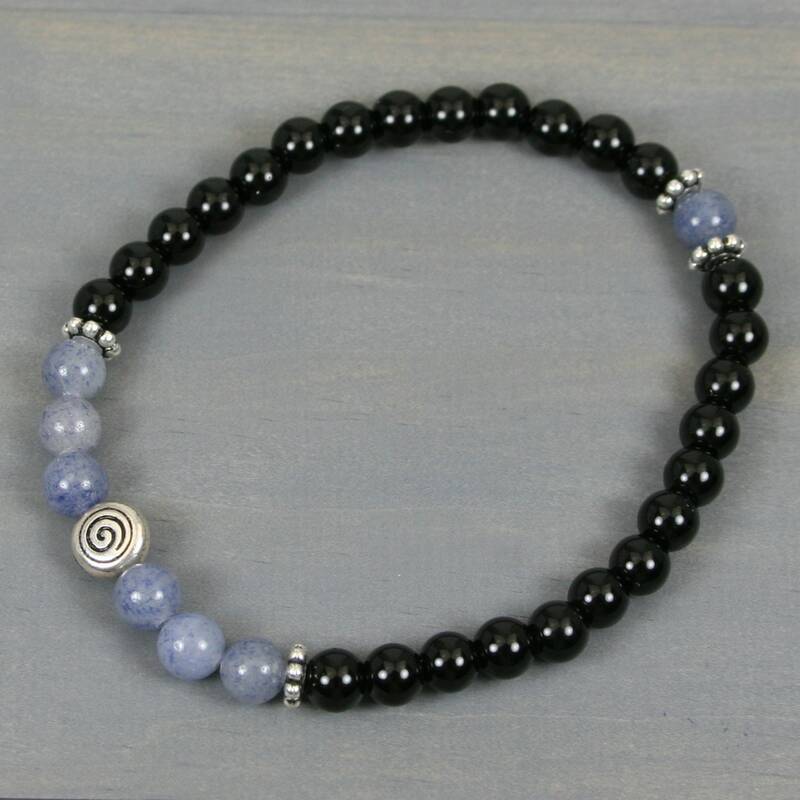 The size can easily be adjusted with the addition or subtraction of obsidian beads for no extra charge. If you need a different size, leave a note with the size you desire in the comments area of your order, and I will re-size it for you prior to shipping.